On episode 287 of the Hop Cast, Brad Chmielewski and Ken Hunnemeder try to warm up with a couple of stouts. Their first beer is from Wiseacre Brewing, a brewery that the guys are extremely excited to see arrive in Chicago. Wiseacre Brewing is brewing out of Memphis, TN but the brewer cut his teeth here in Chicago and has been on the Hop Cast a number of times. 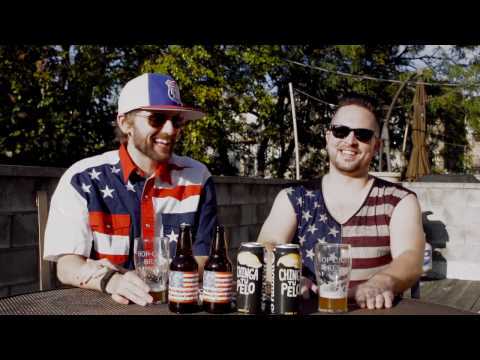 The guys dive into a can of Gotta Get Up To Get Down, a 5.0% ABV Coffee Milk Stout. If you’ve been watching the Hop Cast for awhile then you know that these guys love their coffee almost as much as their beer. Here the coffee is bold but not overpowering, making for a beer you can knock back quickly. 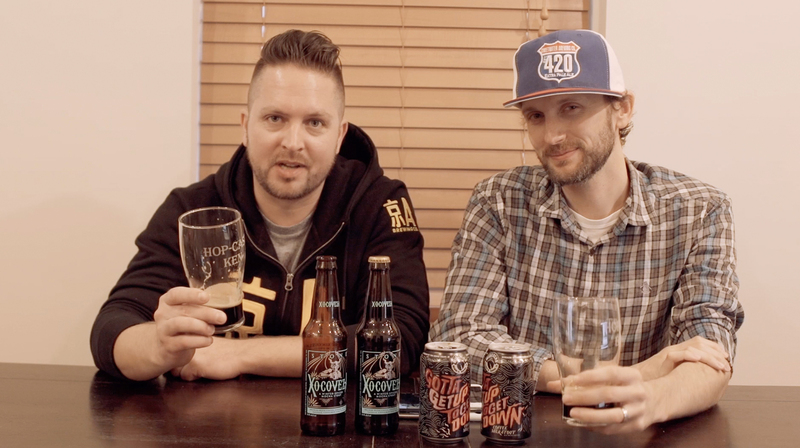 Following up Wiseacre Brewing, Brad and Ken open up a couple bottles of Stone Brewing’s Xocoveza, an 8.1% ABV Mocha Stout. This beer was one that Brad remembered having last season and it was nice to see it back and in a wider release. Having issues listening to the video? Try the Quicktime (2.01 GB) or subscribe to the podcast on iTunes or Stitcher.